Sen. Kamala Harris made her candidacy for President in 2020 official on Monday, symbolically choosing the Martin Luther King Jr. federal holiday for the announcement. 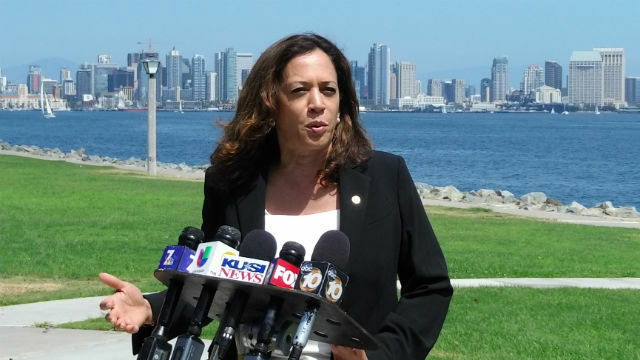 Harris, 54, a former California attorney general, will formally launch her campaign at a rally in her hometown of Oakland on Jan. 27. “I’m running for president. Let’s do this together,” she tweeted. She is the first official candidate from California. Los Angeles Mayor Eric Garcetti is frequently mentioned as a possible candidate as well. Harris, whose parents were from India and Jamaica and active in the civil rights movement, is a member of the Congressional Black Caucus. In an appearance on Good Morning America, she said she was honored to make the announcement on Martin Luther King Jr. Day.